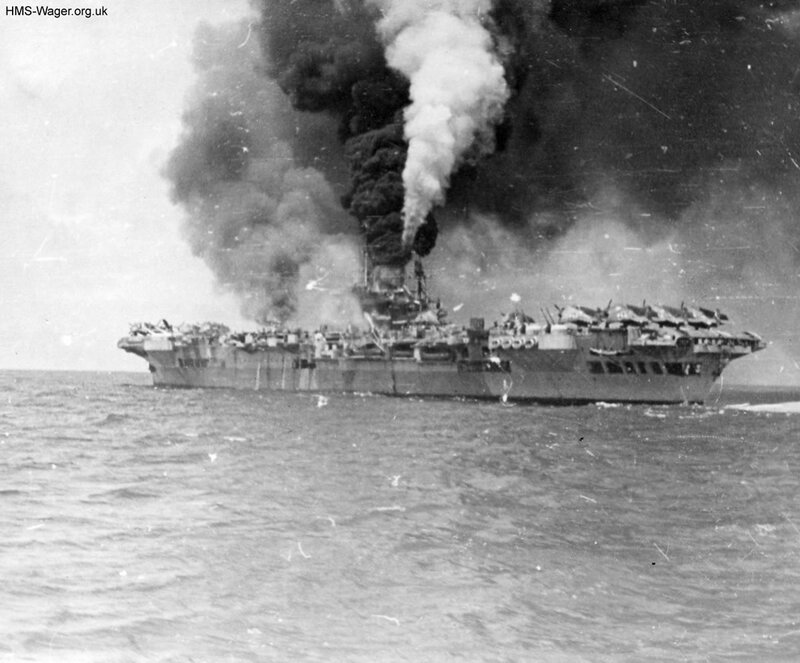 The British aircraft carrier HMS Victorious, after being struck by a Japanese Zero aircraft, in a Kamikaze attack, in the area of Leyte in the Pacific on 9 May 1945. The carrier suffered two hits that day following one on 1 April. See http://www.navweaps.com/index_tech/tech-042.htm for more information and photographs. This photograph was taken from HMS Wager.